All the functions of a mobile network are integrated into a single, self-contained cellular base station, that is built to withstand the elements and suited to being powered from off-grid energy sources such as solar. Scaling and integration with MNO networks is made possible via the UmCORE technology. Designed from the ground up for flexibility, Fairwaves mobile networks can be operated independently, interconnected, and integrated with existing PLMN, PSTN and private cellular networks, with support for roaming and industry standard billing protocols. The UmSITE-TM3 has two independent TRX, each with 3W RF transmit power (6W total). This tower-mounted base station may serve as a simple BTS or a complete network-in-the-box (NITB). As a NITB it integrates BSC, MSC, HLR, VLR and SMSC core network components. External connectivity is provided by VoIP (SIP) for voice and SIP and SMPP for SMS. 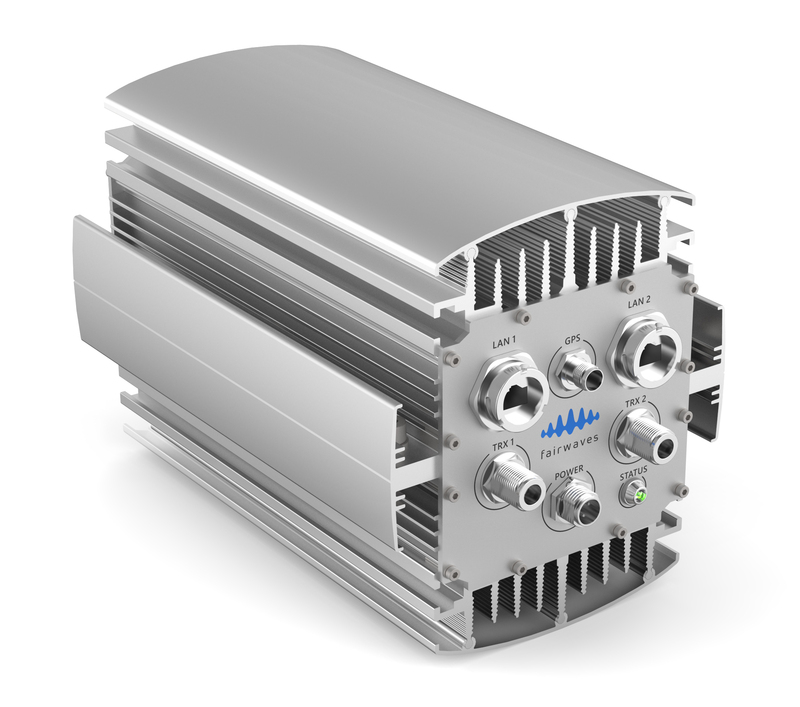 The UmSITE-TM5 has two independent TRX, each with 5W RF transmit power (10W total). This tower-mounted base station may serve as a simple BTS or a complete network-in-the-box (NITB). As a NITB it integrates BSC, MSC, HLR, VLR and SMSC core network components. External connectivity is provided by VoIP (SIP) for voice and SIP and SMPP for SMS. We are a company of long time open source advocates, it’s in our DNA and it enables us to build solutions which are virtually impossible to beat in terms of cost and flexibility.